After setting up the SRV record for Autodiscover service, launching Outlook 2010 or Outlook 2013, users may get the following warning. Allow this website to configure user@domain server settings? To solve this problem, an administrator needs to add a registry setting for users. I will use Group Policy Preferences to deploy the registry setting for users. 3. Right-click the GPO which is assigned to the users using Outlook 2010, select "Edit". 4. Expand "User Configuration > Preferences > Windows Settings > Registry". 5. Right-click "Registry", select "New > Registry Item". 6. Next to "Action", select "Update". 7. Next to "Hive", select "HKEY_CURRENT_USER". 8. Next to "Key Path", type "Software\Microsoft\Office\14.0\Outlook\Autodiscover\RedirectServers". 9. 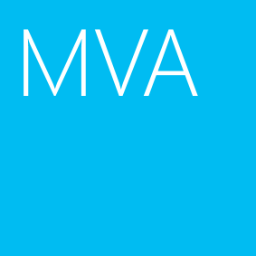 Next to "Value name", type "<HTTPS server to which Autodiscover can be redirected>". Remark: The Key path is 14.0 for Outlook 2010 and 15.0 for Outlook 2013. 10. Next to "Value type", select "Reg_SZ". 12. Close "Group Policy Management Editor" and "Group Policy Management Console". After assigned the GPO, launching Outlook 2010, users don't get the warning. Remark: If your environment is more than 1 Autodiscover record, you have to add each one. Great article. I would like to point out one error. The screenshot provided has the path HKCU\Microsoft\Office\14.0\Outlook\Autodiscover\RedirectServers, but in step 8. of your process you have omitted the "Outlook" entry in your path. I copy and pasted and it did not work. The correct path should be Microsoft\Office\14.0\Outlook\Autodiscover\RedirectServers. I have updated the contents. Hello, I know this is an old article but I appreciate it. I'm wondering, can I add this reg key for all users? 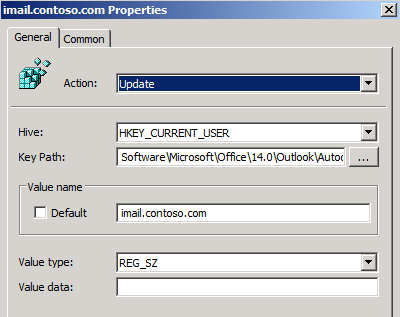 If I add this reg key for Outlook 2010 and 2013 for all users even ones that don't use that version, will it cause any problems? The registry paths of Outlook 2010 and Outlook 2013 are different. I don't suggest applying both registry paths to workstations. how can you manually trigger the pop up to make sure that they reg key is working? After adding a srv record and new mailbox user, when a mailbox user launch outlook 2010 or 2013, the pop-up will be trigger.